On the heels of two very successful fall productions that started Carolina Ballet’s 17th season, the company is ready to segue into the annual favorite, The Nutcracker. Thousands have been captivated and fascinated by the awe-inspiring grace, grandeur and mysterious illusions of this holiday classic. Artistic director Robert Weiss combines the beauty of classical ballet with a little Las Vegas magic. 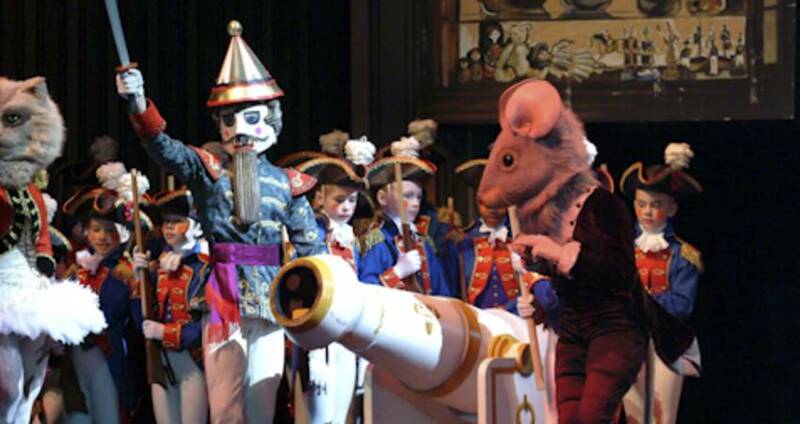 Paired with a live symphony orchestra, The Nutcracker is an unforgettable experience for audience members of all ages. They went to Las Vegas (where Thomas has a show), and for a week they took a crash course in magic. Thomas conceived the illusions Carolina Ballet presents, and Bill Smith of Magic Ventures built them. To keep The Nutcracker fresh and exciting, Weiss invited Thomas back to Raleigh this fall to introduce a new illusion into the Party Scene of the holiday classic. Carolina Ballet gave its production a facelift in other areas as well. Jeff A.R. Jones designed an elegant new set for the Act I Party Scene which takes place in the Stahlbaum’s house, as well as new scenery for the “Land of the Sweets” in Act II. More than 130 children from area ballet schools have been chosen to fill the roles of Clara, Fritz, Party Scene children, mice and soldiers, gingerbread cookies, truffles, Arabian attendants and harlequins. Rehearsals have been underway since Sept., and the company sees many children come back year after year. Showing at Raleigh’s Memorial Auditorium at Duke Energy Center for the Performing Arts, Dec. 19-28. Click through for show times and tickets.